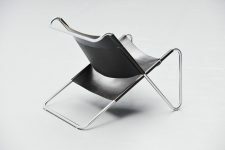 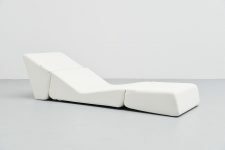 Sculptural writing desk designed by Louis van Teeffelen and manufactured by Webe Meubelen, Holland 1960. 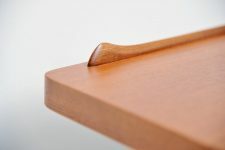 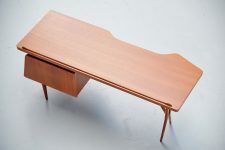 This is for sure one of the nicest desks ever made, this desk is made of partially solid and partially teak wooden veneer. 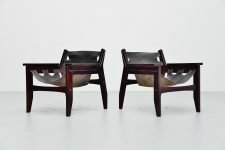 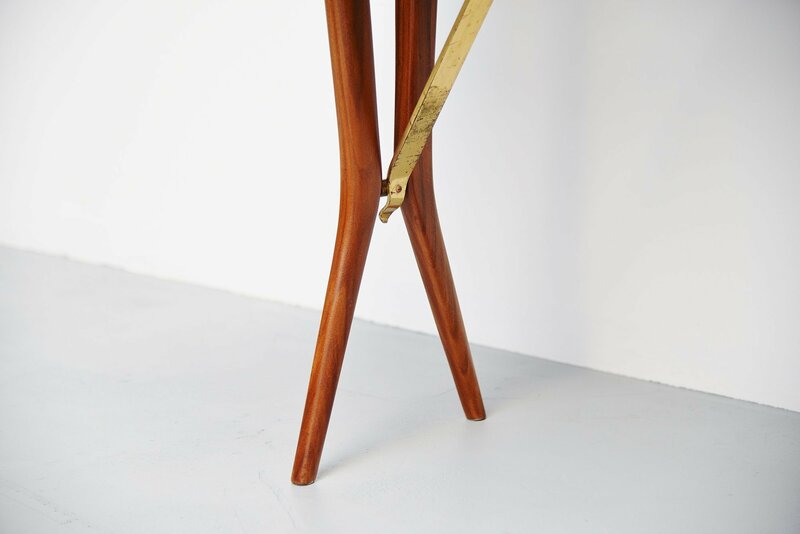 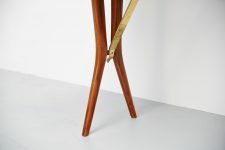 The legs of the desk have a brass support. 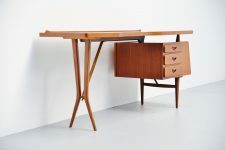 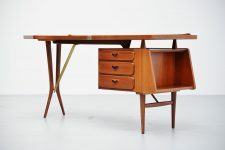 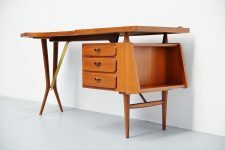 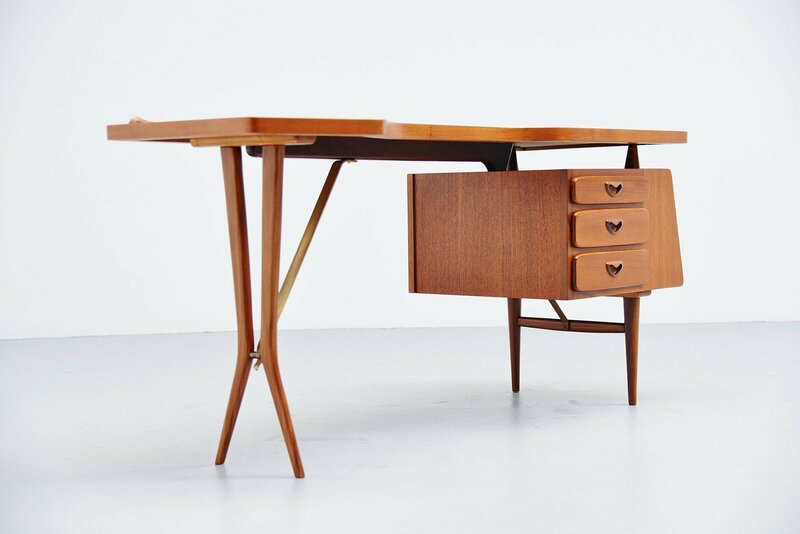 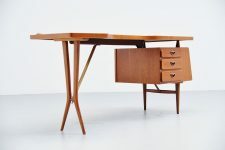 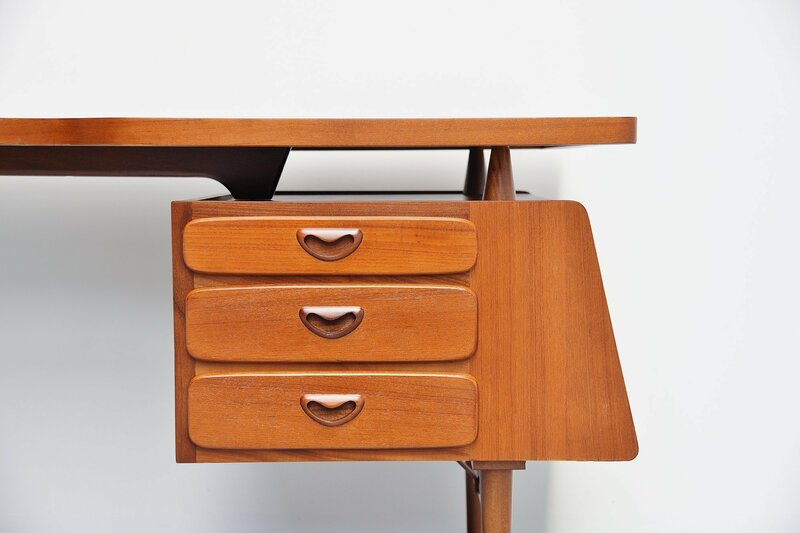 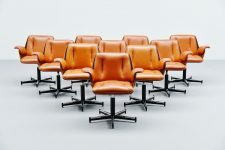 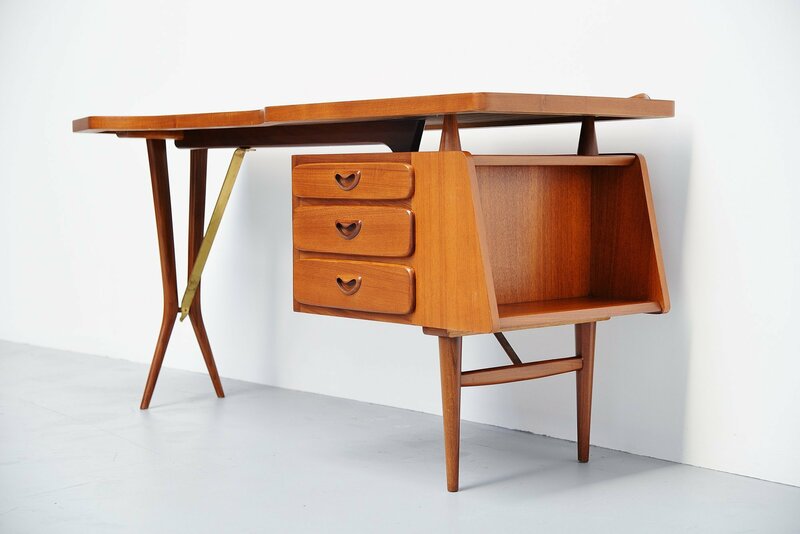 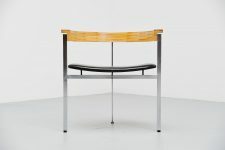 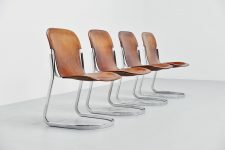 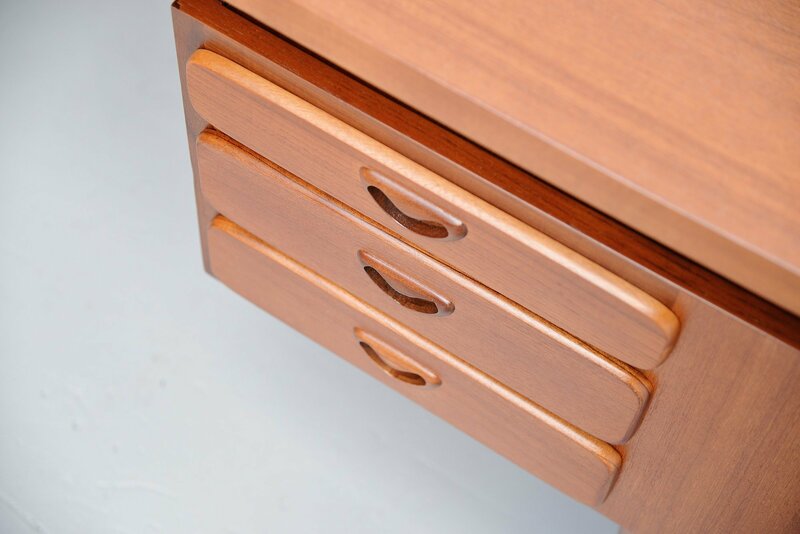 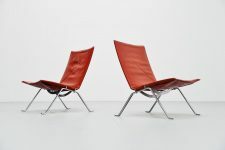 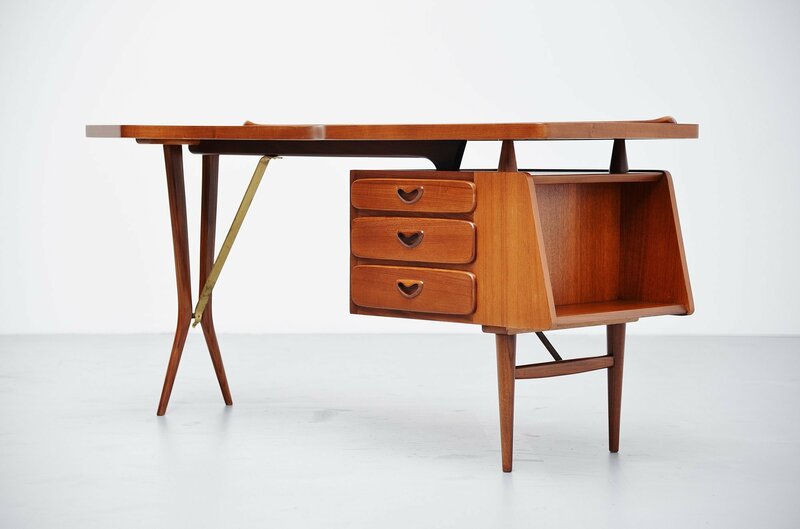 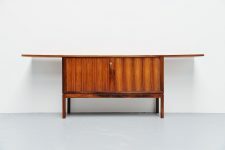 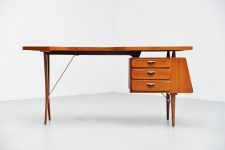 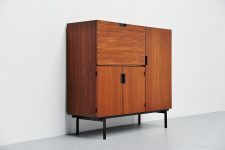 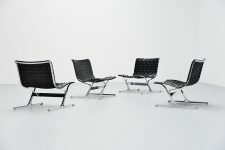 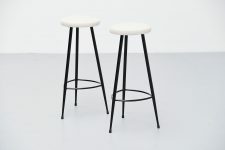 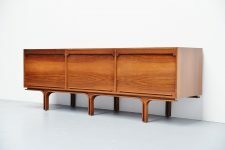 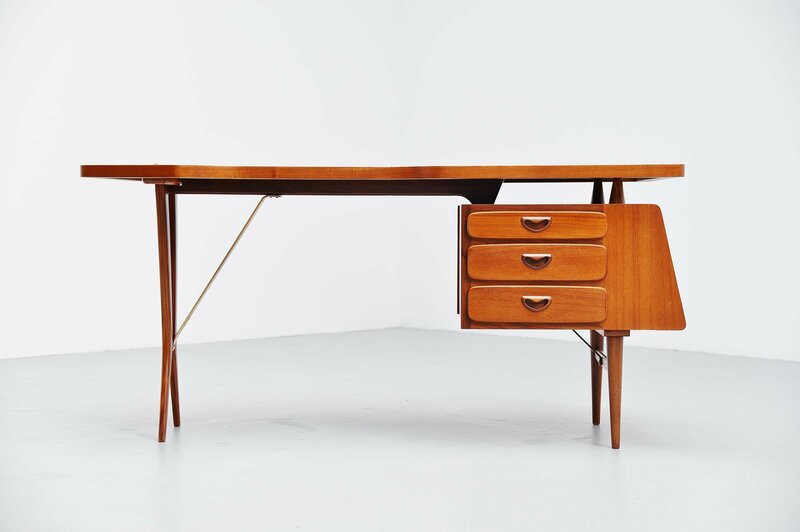 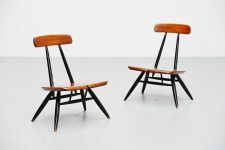 Webe was one of the better quality furniture manufacturers in Holland in the 1960s and the designs were inspired by the Danish craftmanship which is visible really well in this desk. 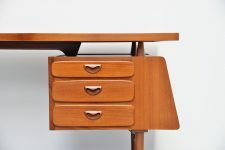 The desk has 3 drawers on the right and a nice organic shaped desk top.